Branding is easy to dismiss when you’re frantically racing to get your business ready for launch. If you’re jumping between tasks like financing and hiring, then branding can very quickly take a back seat. It’s a massive error that can have a long-term impact on your potential for business growth. 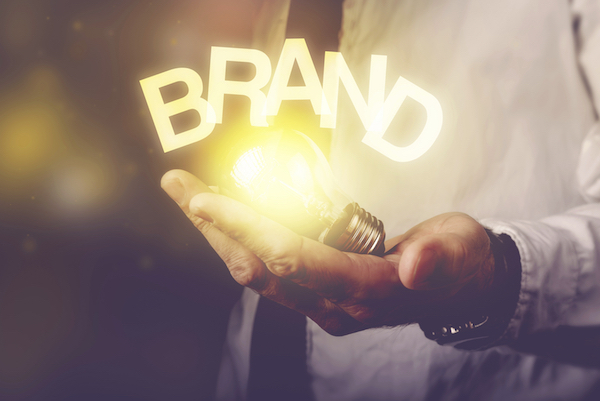 A new study commissioned by promotional products retailer 4imprint has revealed just how important branding is to consumers. If you want to make the most of your marketing, then you’re going need to have a stronger focus on raising your brand awareness. Look at your existing branding and compare it to what consumers want, and your growth strategy will be much stronger as a result. Shoppers might love a bargain, but they’re also very happy to spend a little more if they get the right logo on their purchases. The survey has shown that shoppers are prepared to pay more money if they are getting a popular brand, and there are some strong branding examples in the personal favorites highlighted by the survey. Apple and Coca-Cola were the most popular brands that people were happy to pay more for. The survey by www.4imprint.co.uk showed that branding is the cornerstone of your growth strategy, and only the most blinkered entrepreneur will dismiss its importance. Consumers are not just looking for a strong brand that they recognize; they also have a key eye on additional extras. Make sure that you incorporate this into your advertising plans and your business will benefit. The ingredients of a strong brand. Logo – Look at Apple, Mcdonald’s, and Adidas for inspiration, as these are by far the most famous logos, and a third of shoppers have said that they feel pride when displaying the right logo. Slogan – Nike (Just Do It), Kit-Kat (Have a break, have a Kit-Kat), and Skittles (Taste the Rainbow), are all strong examples of good, impactful slogans. However, these two elements come with a wide range of decisions to make. Style, color, even your font choices, will all play a role in your branding effectiveness. Look at the full results of the survey and incorporate those lessons into your branding plan. Competitiveness – You need to have your whole team involved. Having a strong brand means that every employee needs to be on-brand at all times, especially when representing the business in person or on social media. Distinctiveness – Make your logo and slogan as unique and distinctive as possible. The survey showed that Apple’s minimalist and unique logo was a firm favorite among consumers. Consistency – You’re counting on familiarity, so your branding needs to be consistent. Leadership – You need to live and breathe your brand and become linked to it. Look at how Steve Jobs is still connected to Apple’s success and continued growth. Become the brand leader, and your team will follow. Exposure – Having the right brand impact means using the right channels to spread the influence of your brand. Reach new customers with your branding, and you can encourage them to check you out more. Audience awareness – Before committing to a branding design, make sure that you know your audience. Knowing your customer demographics can help to highlight the branding that you need. Never dismiss branding as a non-essential part of your marketing plans. Branding is more important than ever, and if you want your business to thrive, then commit time to learn about how you can use the right branding to reach new audiences and generate more profits.